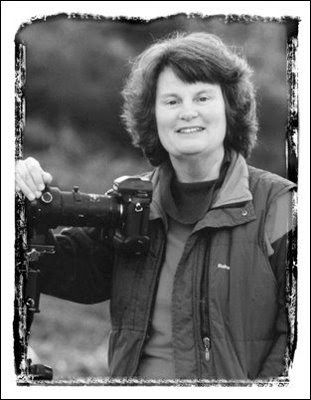 London, UK: Heather Angel, the internationally acclaimed wildlife photographer and prolific author, is to hold her legendary Wildlife & Natural History Photography Workshops at Saint Hill Manor, East Grinstead on 25th & 26th July 2009 for the thirteenth successive year. Hosted by the Nikon-only dealer, Grays of Westminster, in association with Nikon UK, the extremely popular workshops, which in previous years have attracted attendees from as far away as North America, South America, China and New Zealand will comprise lectures, demonstrations and the chance to handle and use a vast range of the very latest Nikon cameras and lenses, as well as try out the latest range of Think Tank camera bags. In addition to Heather, the workshops – ideal for both the newcomer and experienced photographer alike – will also see the entire Nikon technical support team who will be on hand to demonstrate their vast range of Nikon products as well as answer any questions the attendees may have. “Everything is planned to perfection and nothing is left to chance. My annual Nikon workshops have become a fixed date in the photographic calendar. The innovative formula combines an attractive venue with splendid views over the Sussex countryside, the provision of technical expertise and ample opportunity to try out a wide range of Nikon equipment. All this provides a memorable experience for everyone,” says Professor Heather Angel. Additionally, a highlight of the workshop programme is the opportunity to photograph birds of prey both in flight and tethered.